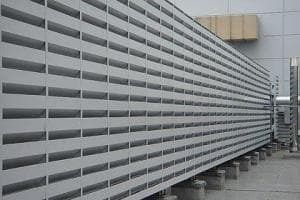 Architectural louvres can be seen gracing buildings up and down the country, adding much needed visual flair and practical value that can make an incredible difference to the look and functionality of the structure. They can keep undesirable elements out, while enabling air movement and permitting the venting of extracts and other building services equipment in an unobtrusive manner. You may think that such flair comes at a cost, or at least inconvenience, but you’d be mistaken. Greenwood Louvre has a standardised range that is ready to order TODAY, with large stocks at our South Wales-based facility just waiting to go out and make that important difference to your project. So if you need an architectural louvre at the right price and don’t have time to wait, check out our standard range right now. And if you’re not sure these are the correct sizes for you, just email [email protected] or give us a call on +44 (0) 29 2064 7573 – no matter what we’ll have the right system for you.